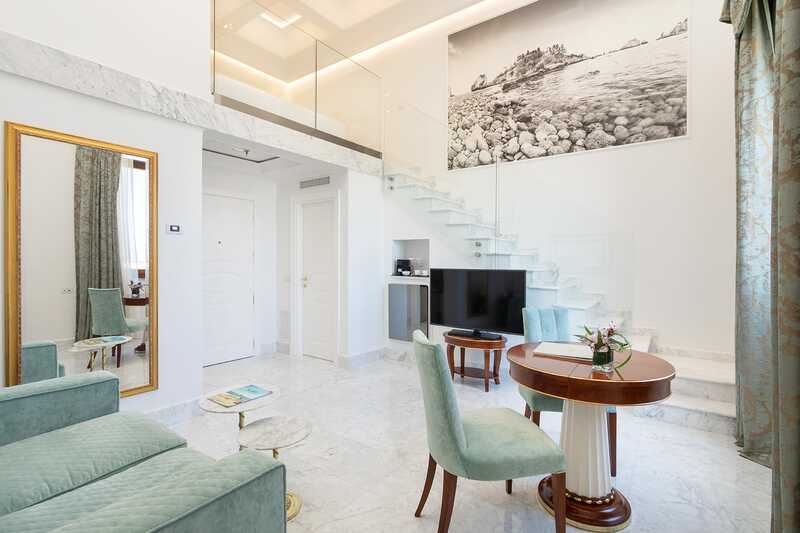 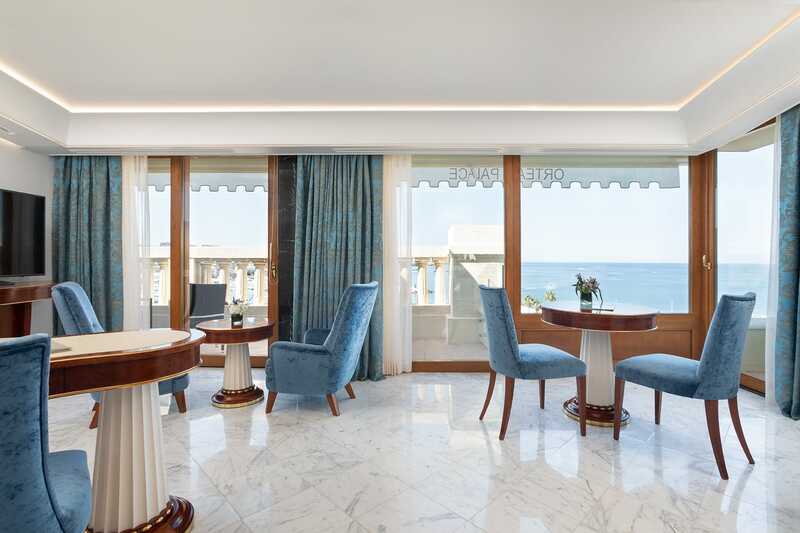 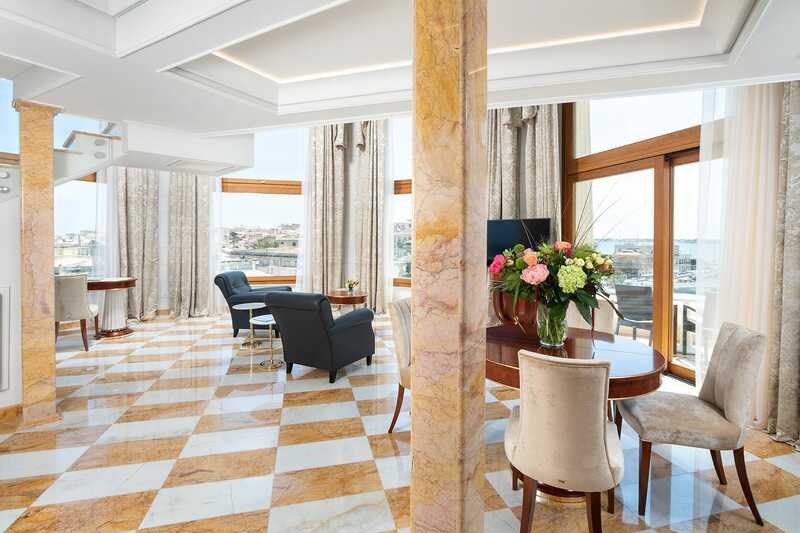 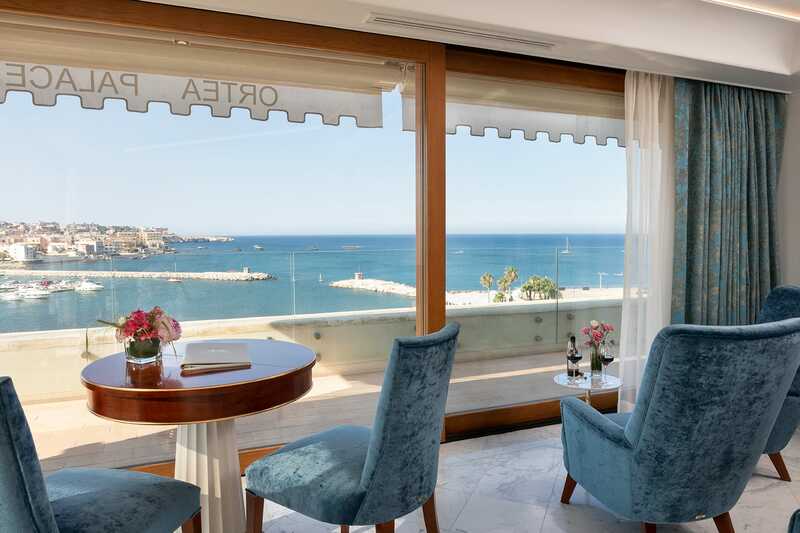 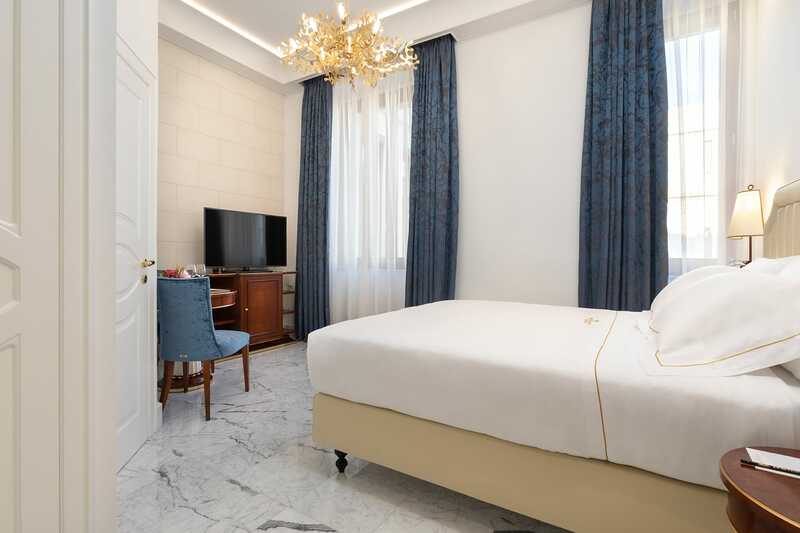 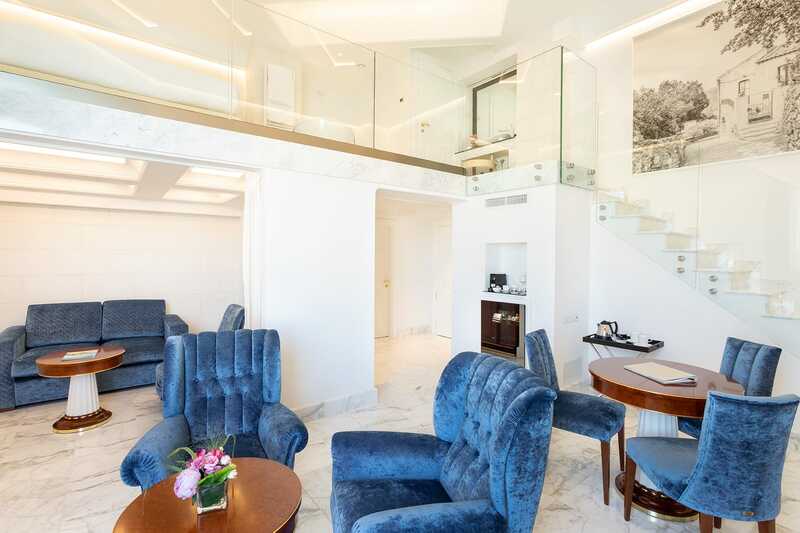 With a splendid view of the sea, these suites feature an elegant and refined style. 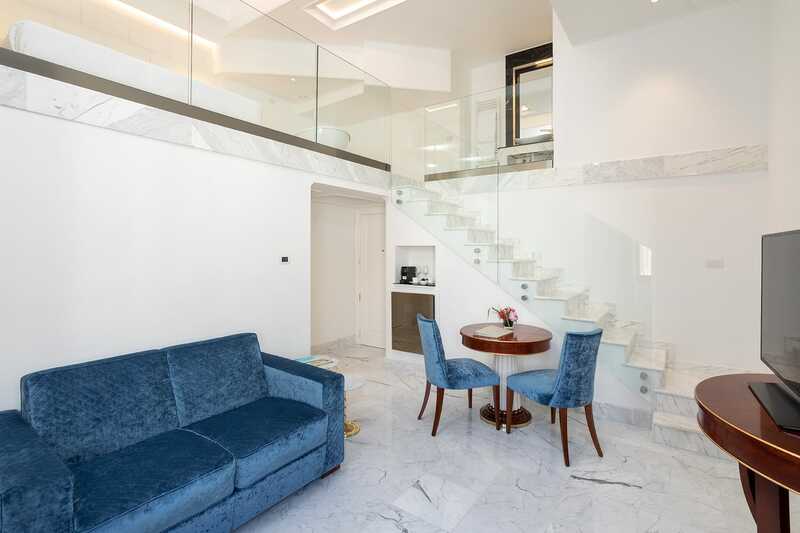 The marble bathroom on the lower floor is large and comfortable, and has a shower. 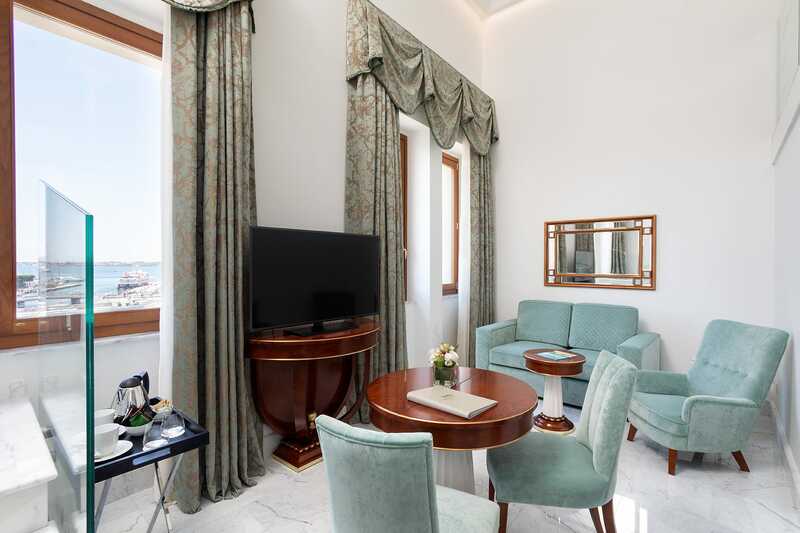 The living room on this floor consists of an exquisite wooden desk, a sofa and chair in beautiful fabrics and a breakfast table. 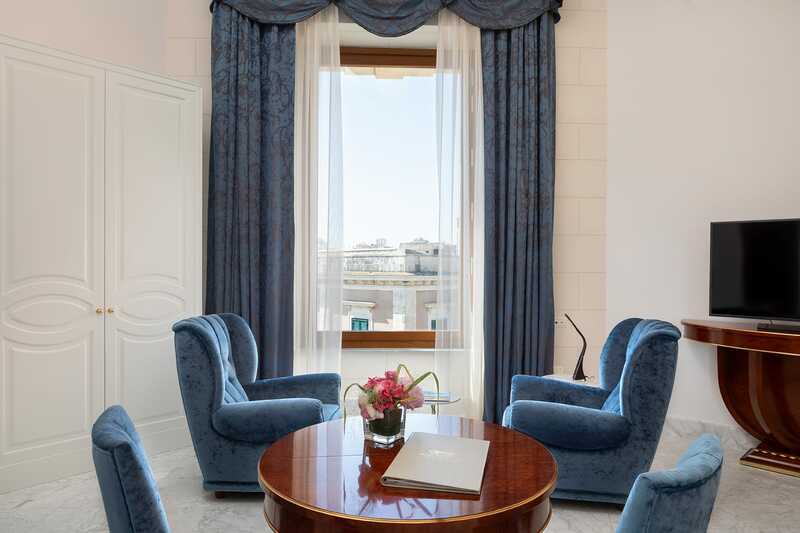 A large walk-in closet completes the room decor of this room with a view. 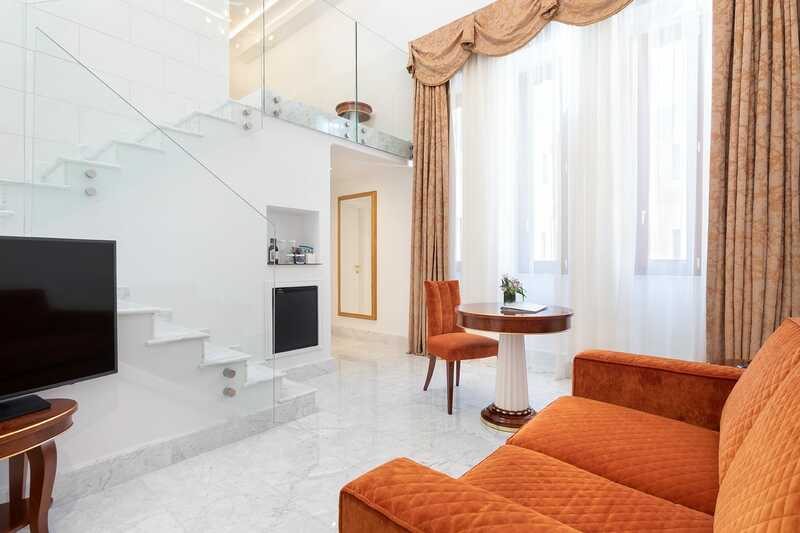 The marble bathroom on the upper floor offers a bathtub with a view.